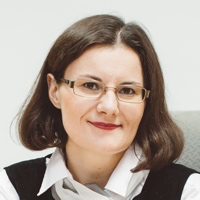 Squirrel, Inc. by Stephen Denning: My Book Reading Notes · Blog of Visnja Zeljeznjak, Entrepreneur and Author. Business needs more storytelling. It needs more storytellers. This book has taught me the basic elements of a story, and it gave me specific examples of the situations and the kinds of stories a business should tell to inspire change. The book is written as a parable itself. It’s a story of how squirrels wanted to switch to nut storing, instead of starving every winter. So, with this book you get 2 things in 1: the actual story, and the explanation why the story worked, and how it worked. You’ll love the book if you’re a business leader, a writer, or an employee struggling to get her message across, to instigate change in her organization, where even the simplest changes are tough. I’ve had employees completely transform my company in the past. I did not think of it back then, but now that I think about this book, every time someone managed to change my mind, I now realize that they used stories, and that they were great storytellers. However, I believe that a story in a business setting is like a sauce in cooking: sauces go with almost any meal, but at some point you have to serve the actual meal, too. The sauce is not nutritious enough to drive hunger away. The same with stories: don’t be that guy who only has other people’s stories to tell: treat your stories as the sauce to the main course. Otherwise, the advice in this book may backfire on you. I’m a compulsive note taker. I can’t read a non-fiction book without taking notes - that’s why it takes me so long to finish a book. Inspired by Derek Sivers’ Book Notes project, I decided to put my compulsion to good use, and publish my notes. This way, I’m reminding myself of the lessons I wanted to capture for myself. The order of the notes more or less follows the order in the book. My notes are a mix of book content pieces and my own thoughts I jot down while I read the book. Buy the book if you like my notes - you learn the most by reading the original. Read my other book reading notes. others will only believe in you if you believe your own story. The story has to rise up from the deepest recesses of your being. how can a story about one person convince everyone? your goal is to spark a new story in the listener’s mind: you don’t want the listener to think about some unknown hero of the story, you want the listener to think about his own situation: “That’s interesting, we could do that!” The listeners create their own story in their minds. The story becomes their own idea - we all love our own ideas. In performing the story, the storyteller relives the story and makes it fresh. 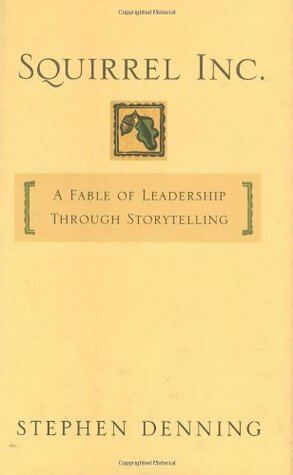 The storyteller should find a story that works on all levels of the organization. Once you find a story that works, keep using it. how you know you’ve made an impact? It’s the storytelling - not the story itself - that makes the impact; writing the story won’t have the same effect. The hero of the story maybe isn’t the best person to tell the story. You become a better storyteller if you practice. If they’re not listening, get their attention - frame the story. talk about their agenda, in their terms: what is worrying them? “but it’s actually worse than you think. let me tell you how it really is!” -> framing, now they’re listening! Talk about yourself, make yourself a little vulnerable. they must be asking: what happened next? How does it end? if you tell the story right, they will already be thinking: what if we did this in our own context? People never buy other people’s ideas: it has to be their own idea. this is why change takes so much time: people need to internalize the idea, make it their own. Before that happens, all they hear from the storyteller is rha-rha, something that sounds good, but they’re not willing to commit to the change. People must become their own storytellers, they need to discover the truth for themselves. Step one: bring the group together physically, face to face. Step two: establish an open agenda. Step four: let everyone tell their own story - create a process of sharing meaningful stories. Step five: have an action plan ready. when you can laugh at something, it means that you’ve mastered it. When you’re crying and whining, that means it’s mastered you. This reminds me of President Trump. wit is a universal solvent; turn life into a carnival! ask: how do we make the things the way we want them to be? what would that be like? Make people imagine. does it turn depression into desire? don’t say too much, let the listener put flesh on the skeleton of the story by himself! Struggling With Writing Website Content? 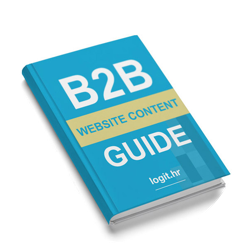 Be done FAST and EASY with my B2B Website Content Writing Guide. I'm an entrepreneur, author, writer, marketer. This is my personal blog where I write about writing, running a digital marketing consultancy business, sales, digital marketing, health, and personal growth.